Proposed plans on how the medical marijuana industry in California will be regulated have been unveiled. The proposed regulations lay out the standards that have to be met by marijuana enterprises seeking to be licensed by the state. Three different agencies in the state were involved in drafting the proposed regulations. Some of the rules get down to the specifics including determining what quantities of marijuana a weed shop can sell to consumers with medical conditions in one day, how big a marijuana farm can be and how late into the night a weed shop can remain open. The proposed regulations are contained in a 211-page document. In the course of the next 45 days public hearings will be held in the state. Feedback can be offered by residents either by appearing at the public hearings or giving an oral presentation or by providing a written statement. The final regulations are expected to be in place by early next year. “The proposed licensing regulations for medical cannabis are the result of countless hours of research, stakeholder outreach, informational sessions and pre-regulatory meetings all across the state,” Bureau of Medical Cannabis Regulation chief, Lori Ajax, said. Plans to provide better oversight and regulation on California’s unchecked week market were started in 2015 after the state’s governor, Jerry Brown, gave authorization to the Medical Cannabis Regulation and Safety Act. The Act strives to have all pot businesses in the state issued with licenses early next year. With the Act, the Bureau of Medical Cannabis Regulation was created and the position of the chief handed to Ajax who previously worked as a regulator in the alcohol industry. 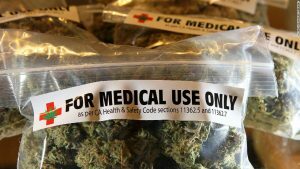 Besides the Bureau of Medical Cannabis Regulation which came up with its own set of proposed regulations aimed at marijuana retailers, laboratories, transporters and distributors, the Health Department also had its own input. The Health Department developed a 95-page document that contained proposed regulations that would be applied in the manufacture of cannabis products including concentrates and edibles. The third department to be involved in the drafting of proposed regulations for the marijuana industry was the Food and Agriculture which concentrated its focus on cultivators of the marijuana crop. Coming up with regulations for three agencies was easier when they were only dealing with medical marijuana but the legalization of recreational marijuana in California last year in November now means regulations will be developed for that market too. Proposed regulations for the recreational marijuana market are expected to be released in fall.